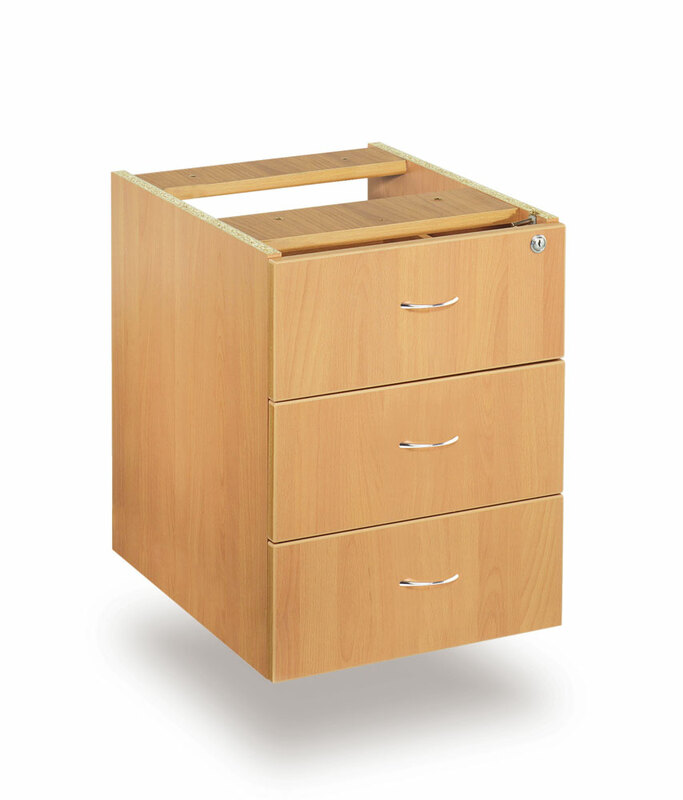 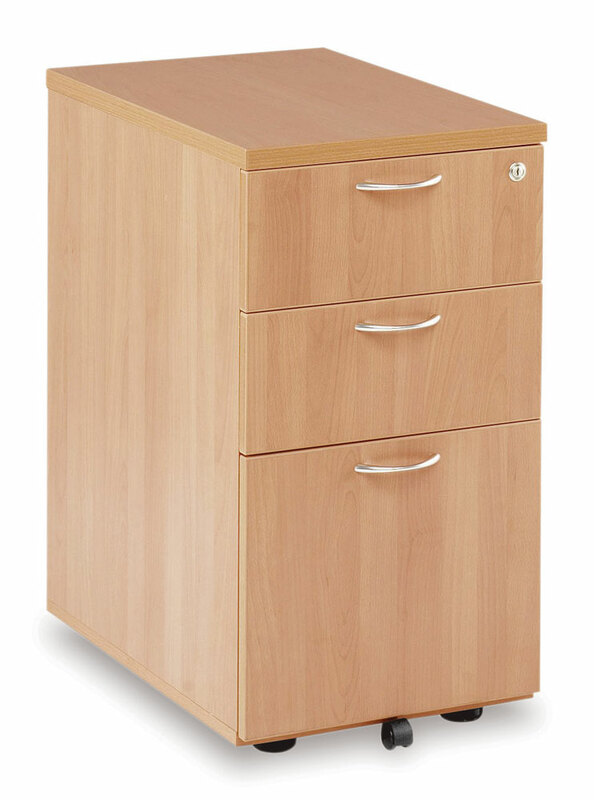 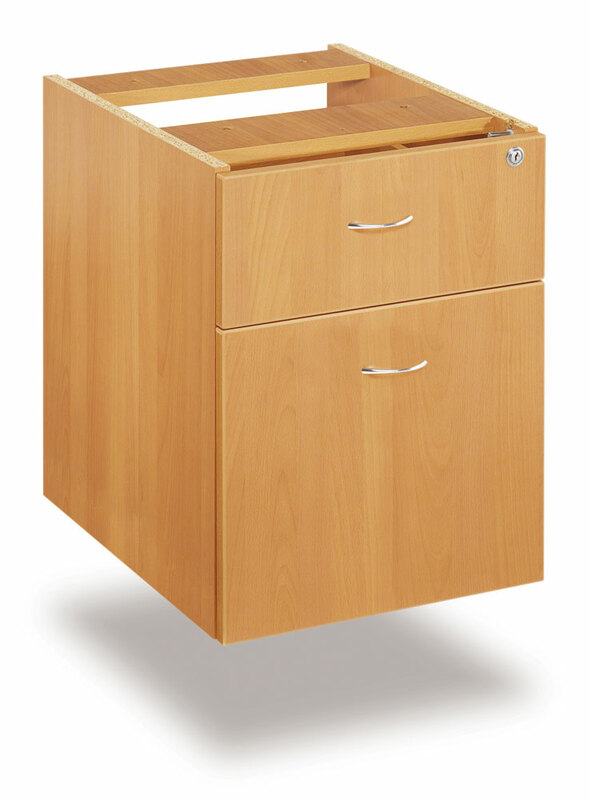 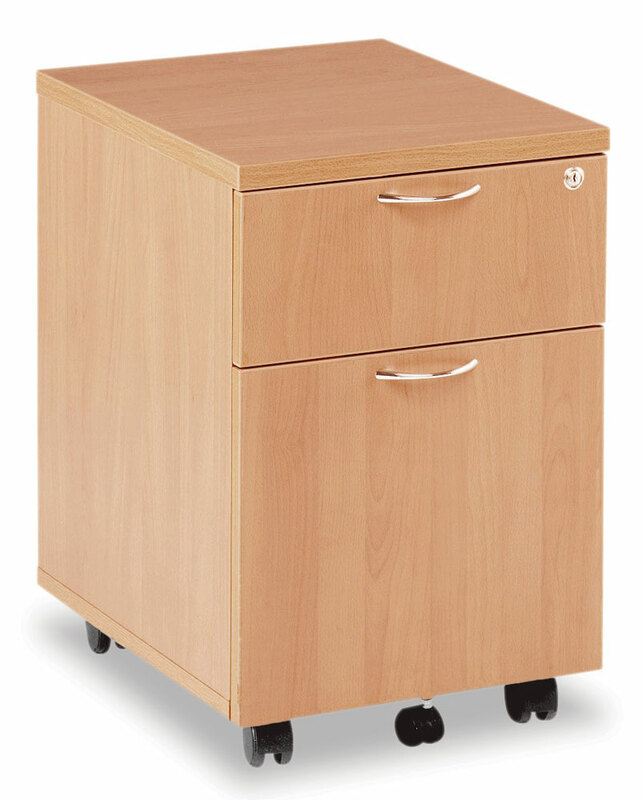 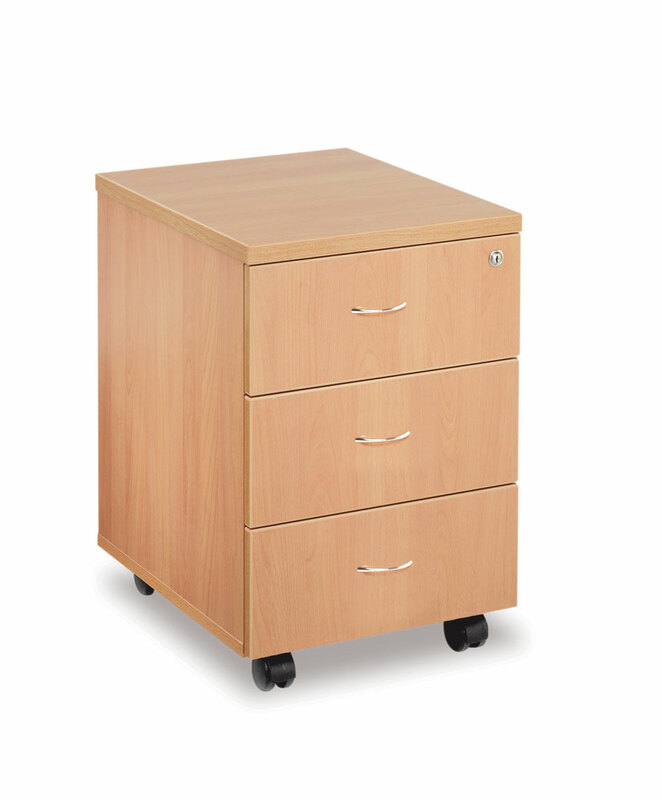 Advanced Pedestals have a central lock enabling all the drawers to be locked at once. A steel bar is fitted within the filing drawer to accomodate suspension files. FIling drawers are equipped with accuride runners. 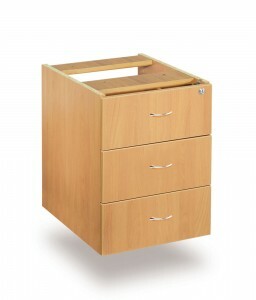 All drawers are fitted with silver finish handles.